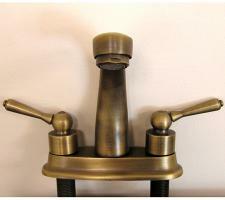 Traditional brass bathroom fixtures offer a great option to chrome or other silver finishes that are so popular today. 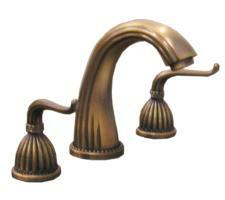 Brass finish offers a unique look that fits with luxurious or antique décor. 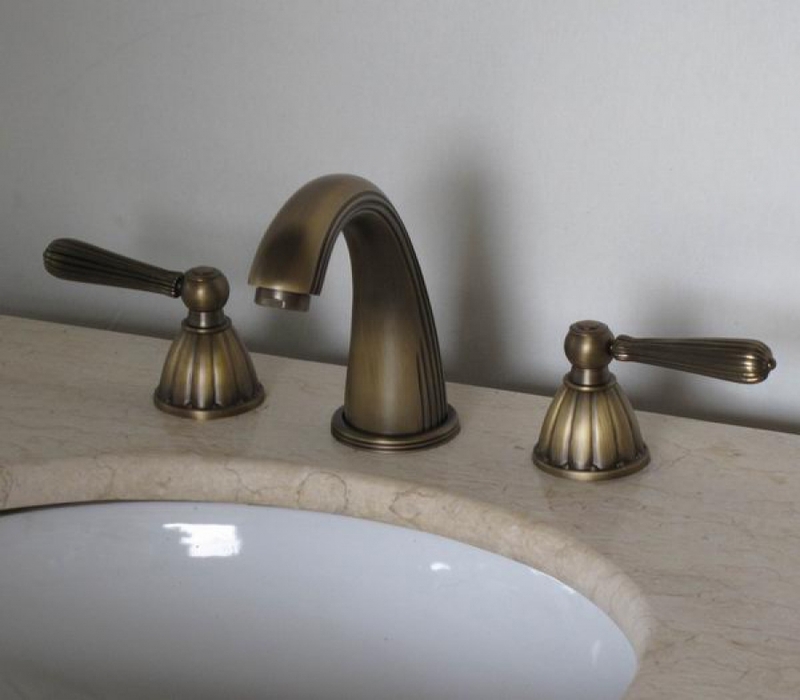 I ordered two for a double sink 72" Vanity from Unique Vanities. 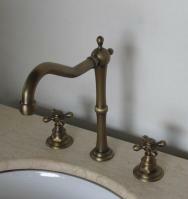 It's very good quality, and fit easily into the vanity top (we ordered travertine as pictured with the faucets). They arrived in only a couple of days. Yes, you made me very happy! 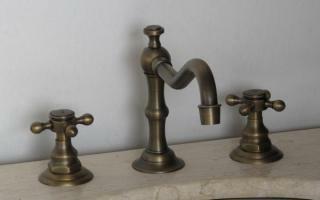 It's very difficult to find Antique Brass Bathroom Fixtures and the one I pursased throught unique is beautiful. The lovely soap you sent was a very nice touch. Thank You.